A ‘Greeter Scheme’ is a voluntary project which welcomes visitors to a city in a unique way, by recruiting local residents who are passionate and knowledgeable about the city to volunteer and conduct free tours. Brighton and Hove are in the process of setting up a ‘Greeter Scheme’ making us the first city in the UK to have such a project in operation. The original ‘Greeter Scheme’ started in New York, and similar schemes already operate in many cities around the world like Chicago, Toronto, Melbourne, Buenos Aires and Paris. These and other groups form part of the Global Greeter Network who abide by an agreed code of conduct in the operation of their duties. Founded in 1992 in New York City as the first ‘welcome visitor’ programme of its kind in the United States, the idea grew from friendly exchanges its founder had with people she met on her own vacation travels around the world. The scheme will involve recruiting enthusiastic, friendly, and city knowledgeable residents, to volunteer their time and expertise to welcome visitors by way of a walking tour, in groups of 6 or less. Visitors will book the ‘Greet’ before they arrive in the city. Greet’s’ will be 2-4 hours and will start at the Visitor Information Centre in the centre of the city. Are you interested in being a ‘Greeter’? 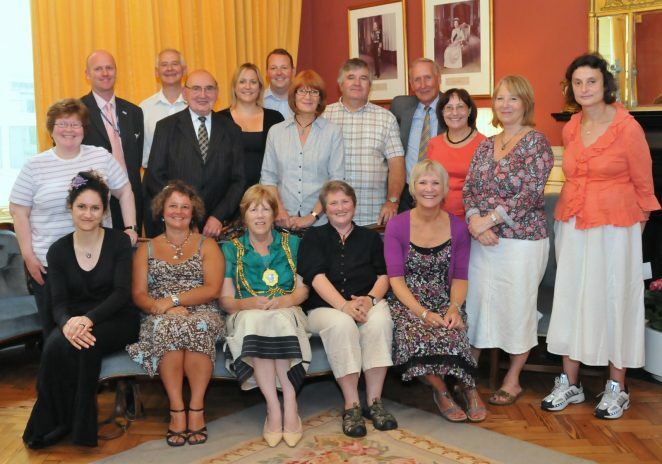 Residents of Brighton & Hove are invited to get involved as Greeters, you don’t have to be an expert in anything, just friendly, knowledgeable and passionate about where you live and can give up a little of your time each month to welcome visitors to the City. The ‘Greeter Scheme’ website which will be up and running from October 2nd, will enable you to apply to be a Greeter, until that time, and for further information, please contact Liz Brand, Destination Manager at VisitBrighton, liz.brand@brighton-hove.gov.uk or 01273 292602. I am pleased to see this scheme in Brighton. It has been operating in Western Australia for some 5 or 6 years. Greeter’s in their distinctive uniforms meet cruise ships in Fremantle and new arrivals and also those departing from Perth International and Domestic airports. They smooth the way and are a nice way to welcome people to the City.